The Smart Way of doing IT! 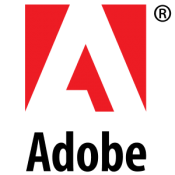 We are an authorized Adobe reseller for LatinAmerica. Our expertise and product selection enable us to offer a complete selection of web and graphic design tools for your business, non-profit and education organization. We also have Deployment & Training Specialists on Adobe Connect, the virtual collaboration tool that works on the cloud with capacity to hold meetings with 100 simultaneous participants, with an on-line course solution and a module for massive events. Adobe's New Creative Cloud for teams is a new way to access the Creative Suite family with enhanced capabilities. With the new software versions of your favorite creative tools and services, you now get advanced features and updates automatically. 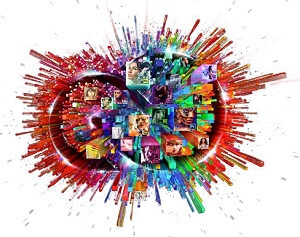 With Adobe Creative Cloud™, the creativity and collaboration has been expanded to a new level. Having the advantages of the cloud with Adobe Creative Cloud, doesn't mean you need to be on-line. Your desktop applications are installed on your computer. You won’t need to be connected to the internet to use them. That said, you can use the web to share your files with co-workers, clients, and friends. With a few clicks, you can send a link, and they will be able to see file in their web browser without creating an account. In the past, you had to pay for the Creative software all at once. Now with Creative Cloud, the payments have been changed to yearly. This way you keep your costs down and adjust your licenses as your staff increases or decreases over time. Adobe® Connect™ is a web conferencing solution for web meetings, eLearning, and webinars. It delivers exceptionally rich interactions and enables organizations from leading corporations to the U.S. Department of Defense to fundamentally improve productivity. Keep teams and customer relationships moving forward by meeting in your personal office in the cloud–anytime, anywhere, and from any mobile device. Rapidly create, deliver, and track effective educational experiences for both learners and trainers, even if you are new to eLearning tools. Showcase products, services, and ideas in compelling, immersive events that maximize attendance and capture measurable results.